W.D. 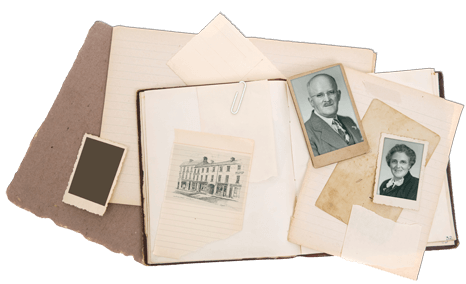 Irwin and his wife Ruth opened for business in a small bakery in Portadown, Co Armagh. 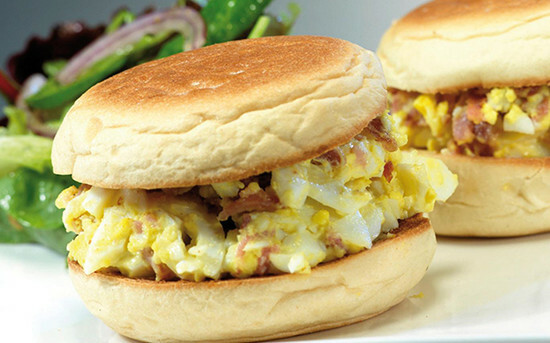 The exact date of opening of Irwin’s Bakery is unknown. 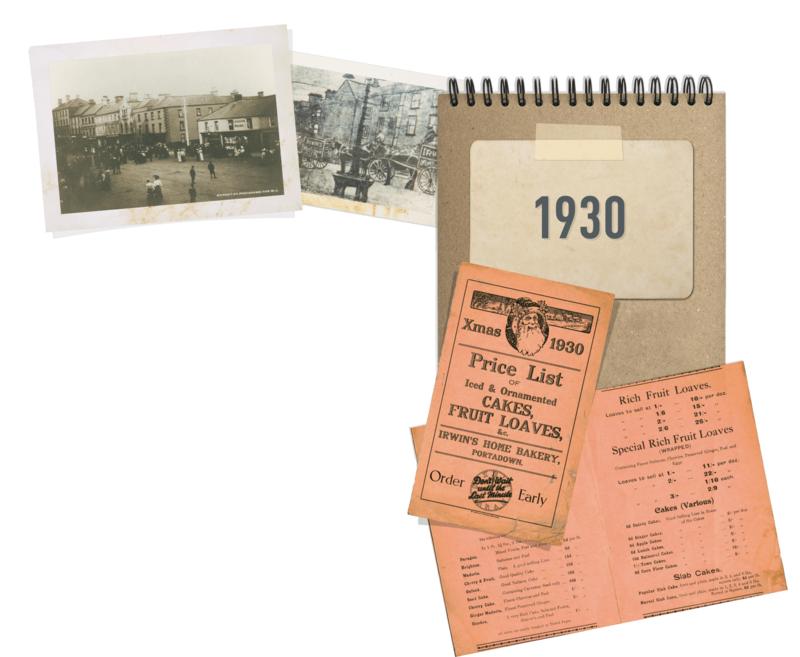 However, the year 1912 was chosen due to the discovery of a paper trail in the oldest original building before the bakery moved site. W. D. Irwin’s wife, Ruth Irwin (nee Palmer) and her sister baked fresh bread for the people of Portadown and the demand for freshly baked bread soon increased. W.D. Irwin & Sons Ltd get ready for a really busy Christmas Period with a new printed price list. 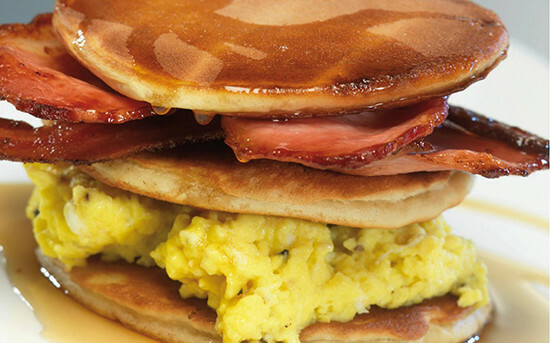 With an increase of trade from 1912, Irwin’s bakery grew and grew over the next 20 years. Sales of bread and cake products meant that the town of Portadown were provided with freshly baked bread on a daily basis. Christmas time saw Irwin’s print price lists for Christmas cake. 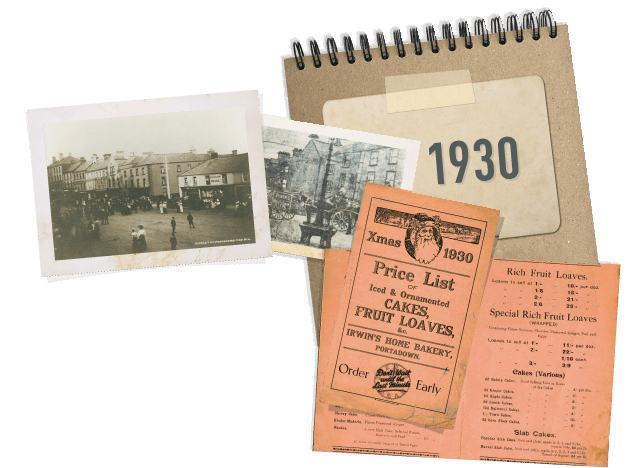 One of the first price lists to be professionally printed in Portadown, Irwin’s Bakery saw an increase in sales on cake and confectionary products in and around the Christmas period. With the horse and cart being a staple vehicle in the 1930’s, 5 were used by the company to go further a field with the fresh bread on a daily basis. As the years progressed, the Irwin’s vehicles have changed with the times and now the Irwin’s fleet of vehicles can be seen right across Northern Ireland every morning, delivering freshly baked bread products to the shops. Irwin’s saw the potential for the business to grow and Mr Irwin knew that if the bakery was to service larger areas of Co. Armagh and beyond, transportation was needed. This year saw the front of W. D. Irwin & Sons Ltd shop have a facelift. New signage above the shop as well as new window presentations gave the Company a fresh new look. June 1951, a memorable day and week for our Town, Portadown welcomed HM Queen Elizabeth and The Princess Margaret at the start of Festival of Britain week celebrations. The original plan was that Her Majesty would have accompanied King George VI, unfortunately he was ill and unable to travel and in the circumstances The Princess Margaret accompanied her mother. W.D. Irwin, founder of the bakery, was invited to attend the Royal visit –Meeting the figurehead of the Royal family was a huge compliment not only to Portadown but also to W.D. Irwin. W.D. Irwin soon became the Mayor of Portadown. 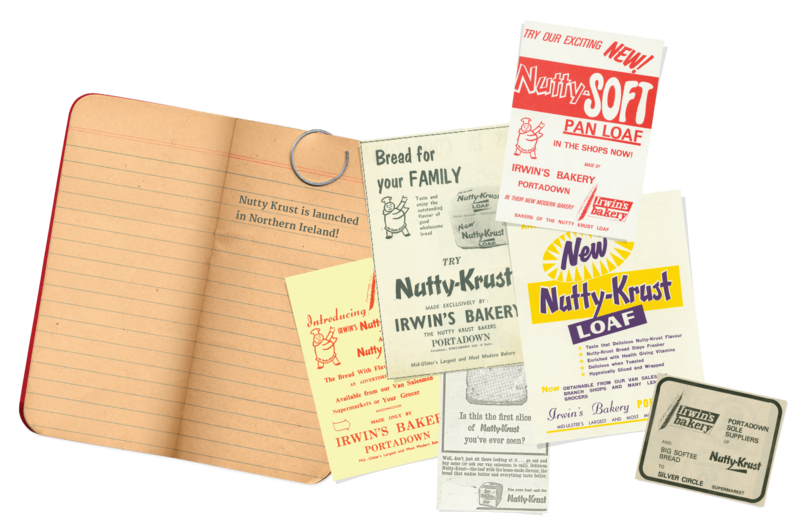 The 60’s were to become an important era in the history of W. D. Irwin & Sons Ltd. A new product was launched that would revolutionise the bread market within Northern Ireland, Nutty Krust was introduced to the market. All sales men were to receive the brief sent from head office to inform of the individual properties of the plain bread that would make its mark in Northern Ireland. All sales men were to sign the document to show they received the brief. 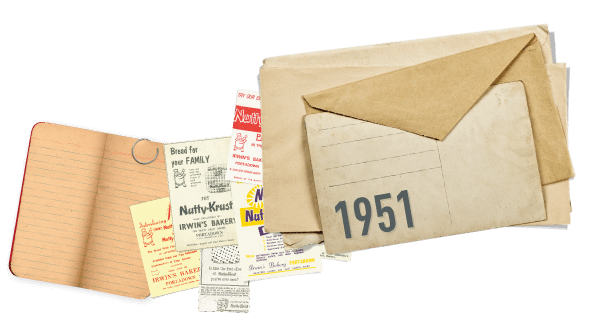 With its distinctive hard crust – Nutty Krust was changed to Nutty Krust to allow people to know that the crust was crunchy. 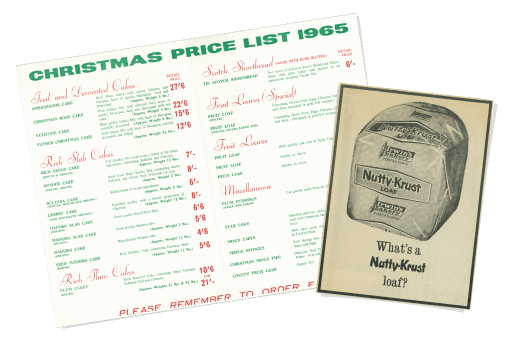 Over the years, Nutty Krust would grow from strength to strength, winning awards for most iconic Northern Ireland product as well as Northern Ireland’s favourite product. 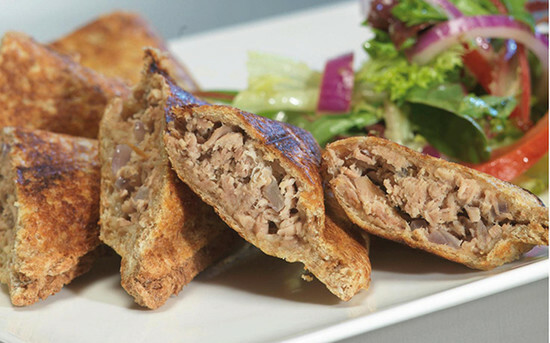 Nutty Krust would certainly be taken to the hearts of the people of Northern Ireland. 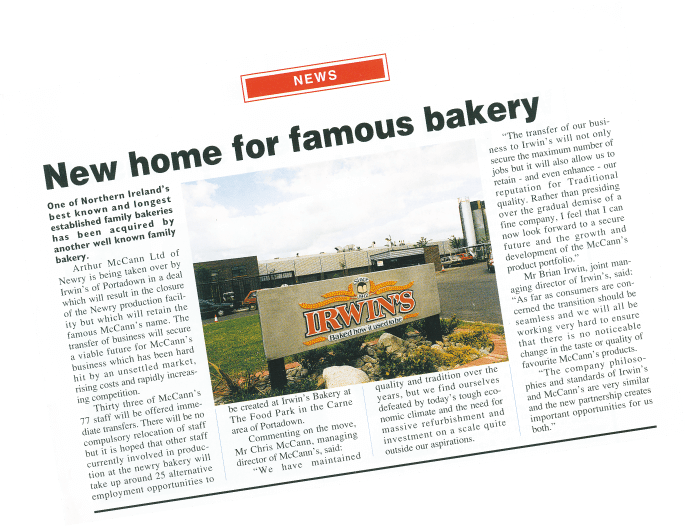 W. D. Irwin & Sons Ltd moves to an all–purpose new bakery on the outskirts of Portadown. Success saw W. D. Irwin & Sons Ltd outgrow the initial set–up in the centre of Portadown. If the company was to grow, new premises were needed as demand for Irwin’s products rapidly increased. for the building of a new plant bakery. Construction started in 1993 and in 1995, the new location of W. D. Irwin and Sons Ltd opened for business by Barnoness Denton of Wakefield, Minister for Economy and Agriculture on 13th February, 1995. Pictured along with Baroness Denton is Kenneth Irwin, Chairman. 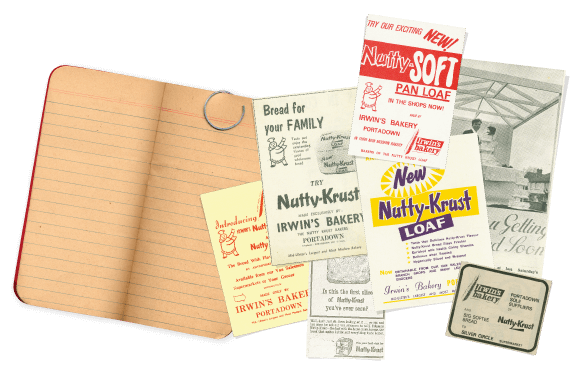 Home of Northern Ireland’s favourite product – Nutty Krust; Irwin’s is still a family run business with grandson’s Brian and Niall Irwin playing an integral role at the bakery. 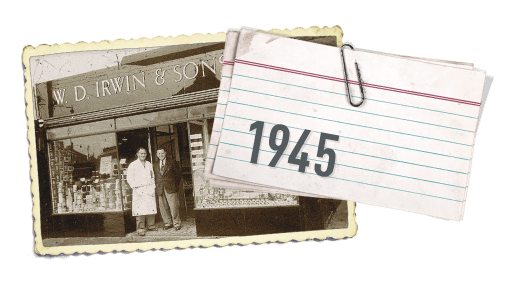 With a history of 100 years baking in the community of Portadown, Irwin’s look forward to many years of serving their local communities in Northern Ireland. The centenary year was a special and eventful year with a Royal visit from the Prince of Wales and Duchess Of Cornwall.